Directly on the water of Hokianga Harbour at Omapere, the Copthorne Hotel & Resort is a pretty 4-star hotel offering spacious accommodation in a lovely location. This small hotel has just 33 studio-style guest rooms. Rooms are a good size and all have en suite facilities. All of the rooms have a balcony with many of them overlooking the water. The hotel has 2 restaurants for guests to choose from, both of which offer a lovely selection of traditional New Zealand cuisine including many seafood specialities. The House Bar & Bistro is the perfect venue to enjoy a meal with a view as it overlooks the water and the sand dunes across the bay. 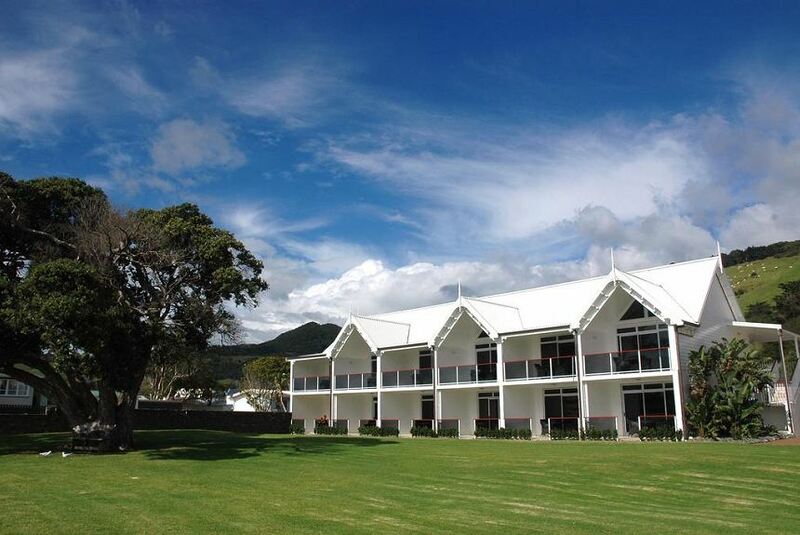 The Copthorne Hotel & Resort is ideally situated to explore all that the Hokianga Harbour area has to offer, including the surrounding forests, sand dunes and sandbar.